Homeowners are always amazed with what a quick, professional window cleaning in Philadelphia, PA can do for the look and feel of their home’s exterior, particularly when this project has been neglected for a while or when a particularly windy or snowy season brings extra wear and tear to your home’s windows than is usually the case. 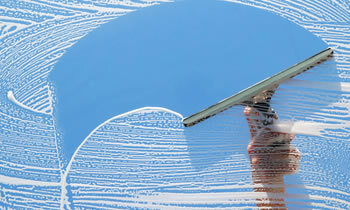 The truth of the matter is that when you’re intent on making a good first impression with your home, are planning on putting your home on the market, or are simply interested in maintaining the most attractive home exterior, detailed services like window cleaning in Philadelphia, PA are often what helps to make the most difference! Your home’s exterior accumulates dirt, dust, and grime every day, simply by being constantly exposed to the natural elements and by being the first thing damaged by falling debris and harsh weather conditions. No where is this damage more noticeable and more irritating, however, then your home’s windows which means that window cleaning in Philadelphia, PA can often do wonders for your home’s exterior look as a whole. That said, finding time in your busy schedule often makes it impossible to perform suitable window cleaning services in Philadelphia, PA and so, many homes go without this incredibly beneficial form of maintenance for longer than they ever should! That’s why, when your home’s exterior could use some convenient, professionally completed upkeep you should contact our friendly professionals here at FX Remodeling & Exteriors to schedule a free estimate for your home’s window cleaning Philadelphia, PA services! Our team of safe, thorough, and efficient window cleaners in Philadelphia, PA can provide your home with the sparkling clean look which you’ve always wanted without you having to climb a ladder, grab a sponge, or waste a single moment! Contact FX Remodeling & Exteriors to schedule your free estimate today!